Sign up for our weekly e-newsletter. Each week we send out a newsletter containing new and featured stock items as well as spotlight items from our air ship pre-order programs. In most cases, these features are on promotion. We also include deals on regular stock items as well as the occasional closeout deal. 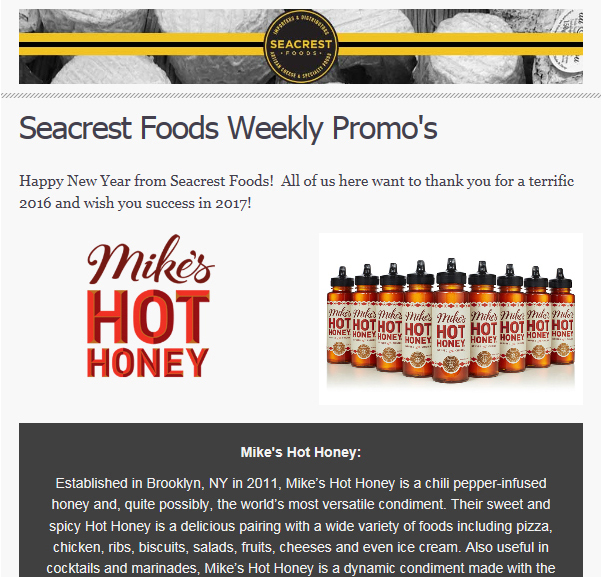 The newsletter is a great way to stay on top of what’s new and interesting at Seacrest.